The parents of a missing Wisconsin teenager, who were found dead in their home, were killed by gunshots and their deaths ruled a homicide, autopsies showed Wednesday. Regina Waldroup reports. The parents of a missing Wisconsin teenager, who were found dead in their home, were killed by gunshots and their deaths ruled a homicide, autopsies showed Wednesday. 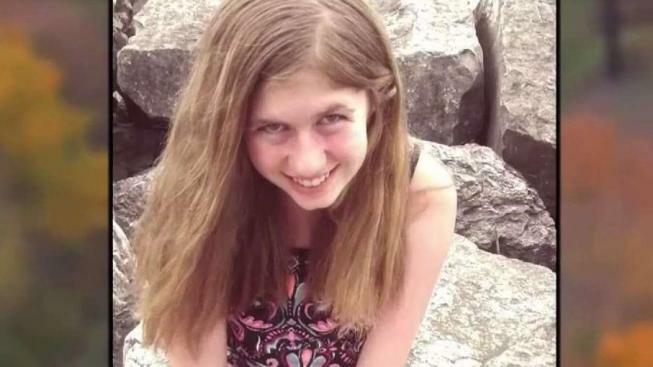 No gun was found at the scene and authorities believe 13-year-old Jayme Closs was in the home at the time of her parents' deaths, Barron County Sheriff Chris Fitzgerald said during a Wednesday news conference. Closs has been missing since deputies responding to a 911 call found her parents, James and Denise Closs, dead in their home in Barron, a rural western Wisconsin community about 80 miles northeast of Minneapolis. Authorities have said Jayme isn't a runaway and investigators believe she's in danger, Fitzgerald said Tuesday. The 911 call came from a cellphone inside the home, but the caller didn't communicate with the dispatcher. "There was no one on site, no vehicles in the immediate area when our deputies arrived on scene," he said. Fitzgerald said he "100 percent" believes Jayme is still alive, but noted there have been no credible sightings of the teen since her disappearance. Jayme was last seen at a family gathering Sunday afternoon, said Fitzgerald, who said Monday that investigators don't consider her a suspect in her parents' deaths. On Tuesday, he declined to elaborate as to why investigators believe Jayme is not a runaway, saying that disclosing more information would compromise their investigation. Naiberg, 72, said his daughter, Denise Closs, and Jayme attended the party, and that his son-in-law, James Closs, was working and couldn't make it. He described his daughter as a "thoughtful person" who brought "a little gift for everybody" at the party. Miami is about 1,700 miles south of Barron. The FBI and the National Center for Missing and Exploited Children are helping in the search. An Amber Alert was issued without a description of a suspect or vehicle. Fitzgerald urged the public to come forward with tips by calling (855) 744-3879. As of the 3 p.m. Wednesday, Fitzgerald said the department has received more than 400 tips and is following up on them. "Check your cabins, walk your land and report anything you think is important to us," Fitzgerald said.